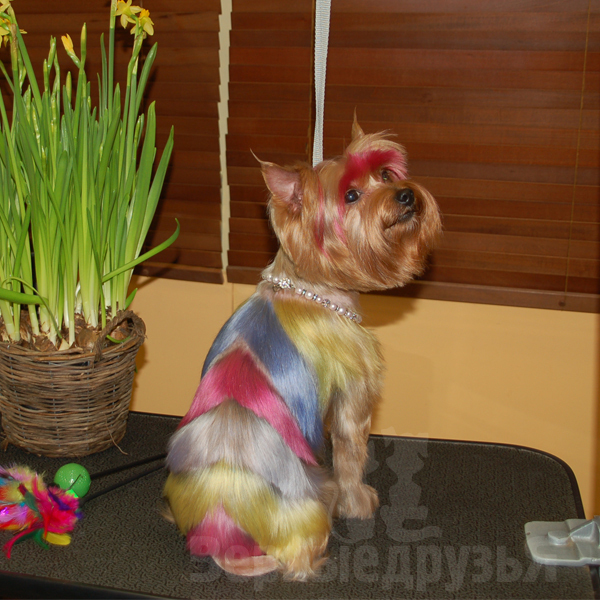 Coloring is carried out with special dyes designed for animals. They are very safe and very lasting. The procedure usually takes a long time, but do not forget that animals differ from human by restlessness. Therefore while selecting images we want to create you must consider several factors: temperament, size of the animal, the quality and quantity of coat. 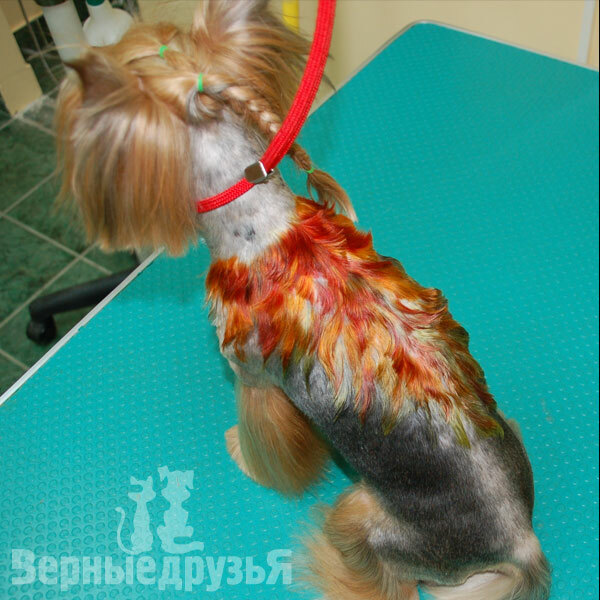 Successfully performed, the creative grooming of your pet will lift your spirits and have a long-lasting memory. 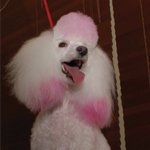 Masters of our Pet salon, specially trained, can perform creative grooming and coloring for your pet.